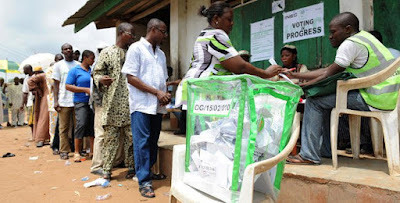 The Inter Party Advisory Council (IPAC) has listed its expectations ahead of Saturday’s Anambra governorship election. National Chairman of IPAC, Muhammad Nalado spoke when he led members of the group in a voter education and sensitization/public rally in Awka on Thursday. Nalado said massive participation of the electorate in any election was an indicator that the exercise was a success. Nalado advised the people against involvement in electoral malpractice and violence before, during and after the election. “Since we came to Awka, we have noticed very clam atmosphere and we expect the people to keep this on throughout the period of the election’’, he said. Nalado said that members of IPAC, made up of all chairmen and secretaries of registered political parties in Nigeria, came to Anambra to encourage the people on the need to do the needful during Saturday election. “In recent times, IPAC has carried out this same activity in Bayelsa, Ondo and now in Anambra during governorship election held in the areas. In Ondo and Bayelsa, the outcome of the elections had been adjudged to be peaceful with impressive participation. “It is for this same reason that we came to Anambra so as to encourage the people to enable us achieve the same result’’, he said. Nalado urged Anambra people to come out with their voter’s cards and in their numbers and on time for accreditation on Saturday as well as vote peacefully. “Do not join in any malpractice, thuggery, and violence, let your votes count, let the wish of the voters prevail, do not allow political leaders to use you for violence. "Many of these leaders have their children schooling abroad, do not fall prey to their traps to be used for violence or malpractice in any form’’, he said. Nalado said preliminary findings by the council shows that INEC has put all the mechanism including the card reader in place for the smooth conduct of the election and urged the people to have confidence in INEC. The IPAC Chairman added that people should not be afraid over the presence of security personnel during the exercise. He advised all party agents to shun acts capable of causing violence, while urging law enforcement agents to remain neutral and ensure they protect voters.